Director: Steven Caple, Jr. 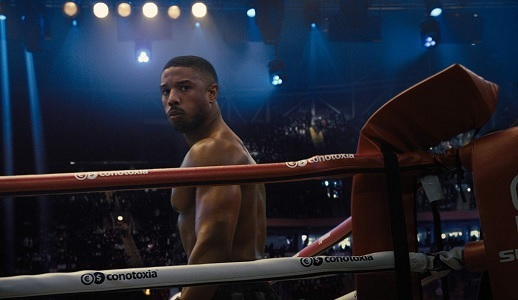 Cast: Michael B. Jordan, Sylvester Stallone, Tessa Thompson, Dolph Lundgren, Florian Munteanu, Phylicia Rashad, Russell Hornsby, Wood Harris, Brigitte Nielsen, A Surprise Person. Screenplay: Sylvester Stallone and Juel Taylor (based on a screen story by Cheo Hodari Coker and Sascha Penn, extending the 2015 screenplay by Ryan Coogler and Aaron Covington). Twitter Capsule: The erratic, semi-engaging rehash of clichés that the first film deftly avoided. Trades down in director, DP really show. VOR: ② The qualities that make this an easy sit also entail reduced ambitions. Doesn't flex the genre, the nationalist theme, or the Rocky template.